Back in the day River tubing in Laos was one of the main things to do in the country and South East Asia. Your afternoon would be spent tubing in Vang Vieng along the Nam Song River, stopping off at bars and participating in the questionable water activities. It was essentially the ‘it’ thing to do when backpacking South East Asia. Similar how the Full Moon Paty in Koh Phagan is a must visit these days. Though, due to some serious incidents over the years, things had to change. 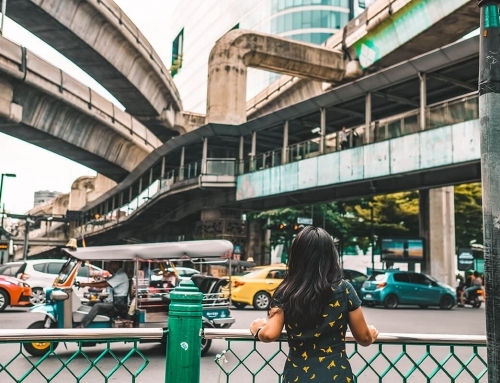 Oh, and if you have traveled South East Asia you can just imagine the seriousness of these situations to actually force the government to implement safety precautions. 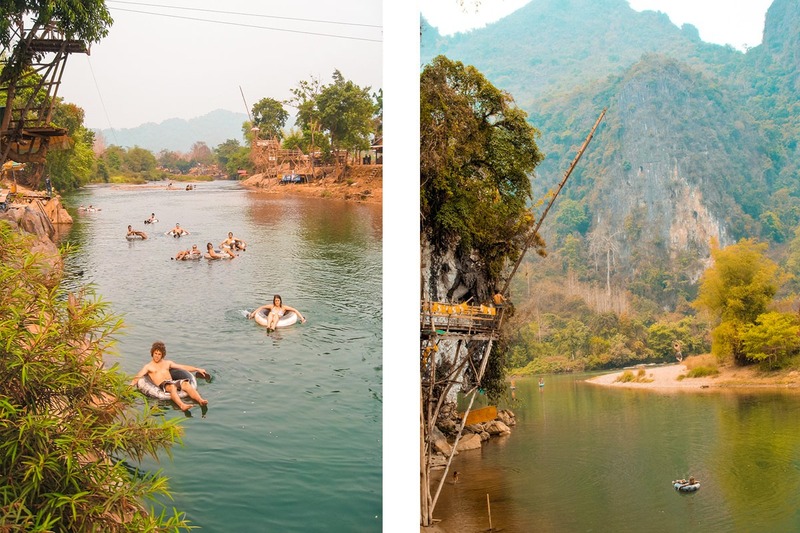 Back in the day tubing in Vang Vieng brought a constant stream of visitors to Laos. Each one looking for a party on the river. At the infamous tubing shenanigans peak over four hundred people would visit each day! It provide the town of Vang Vieng with the constant stream of tourists. 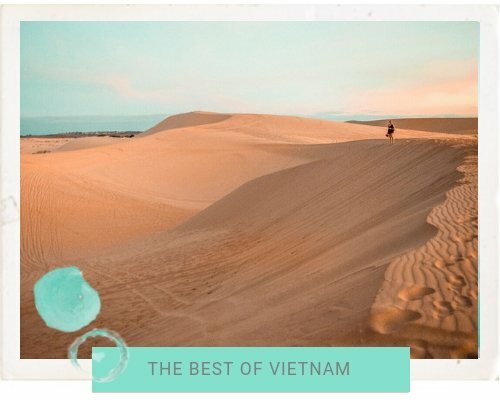 Ultimately put them on the map as a must visit destination for any backpacker in South East Asia. Makeshift swings from ridiculous heights lined the riversides. Bars enticed party goers with games, cheap alcohol and drugs. The infamous ‘death slide’ flung people into the river, and it had that name for a reason. Everyone made their way through all the river bars, drunk themselves silly and somehow manged to float downriver without drowning, even though they could barely walk. 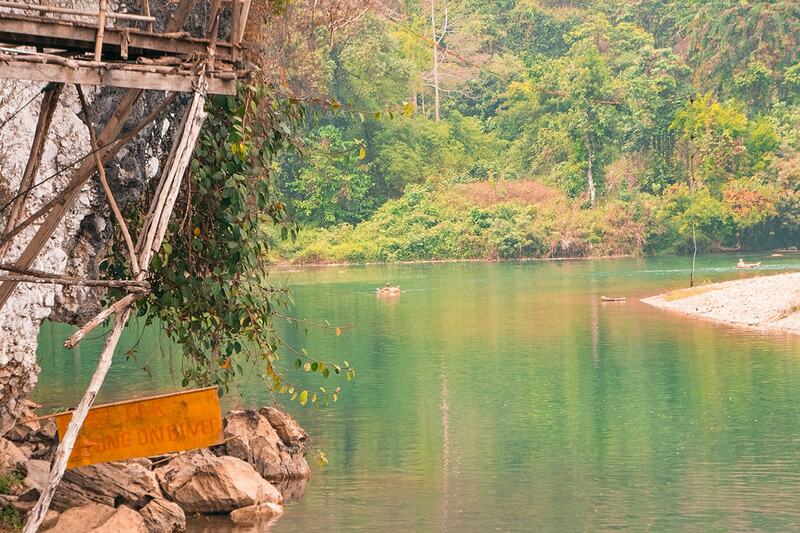 This tubing in Laos dream, that resulted in many people traveling to Vang Vieng, didn’t always end in a happy story. 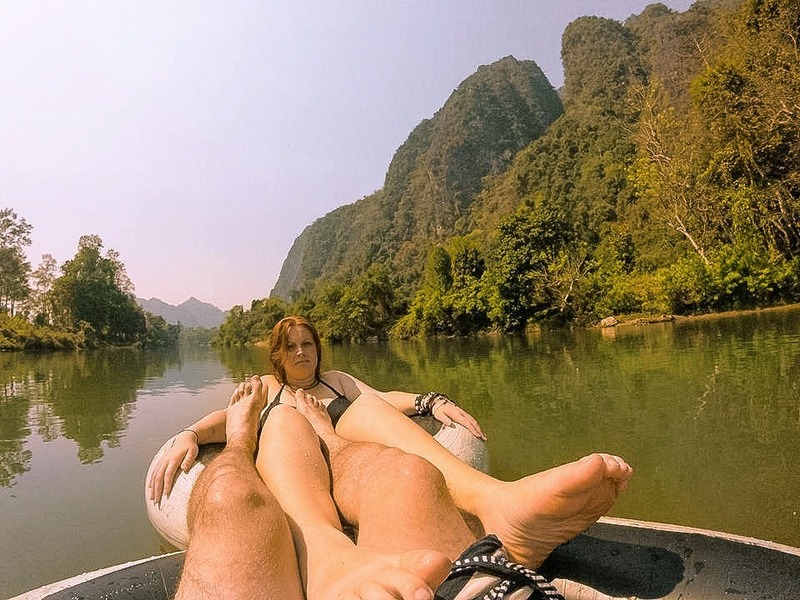 Throughout the years of tubing in Vang Vieng many people had been injured. Its easy to see how as well, with intense rapids and rocky shallows mixed with drug and alcohol pumped backpackers. Anyone planning to do this tubing route should get the right information here so that they can avoid some of the dangers. With all these young drunk and stoned people, this was never going to be a good combination. The tipping point though was the amount of preventable deaths that occurred as a result of tubing in Vang Vieng. Due to the lax laws in Laos, there is no definite number. Though, it is reported that there were at least twenty people which died each year. In 2012 The Laos government was pressured by foreign ambassadors to do something about the tubing in Vang Vieng. 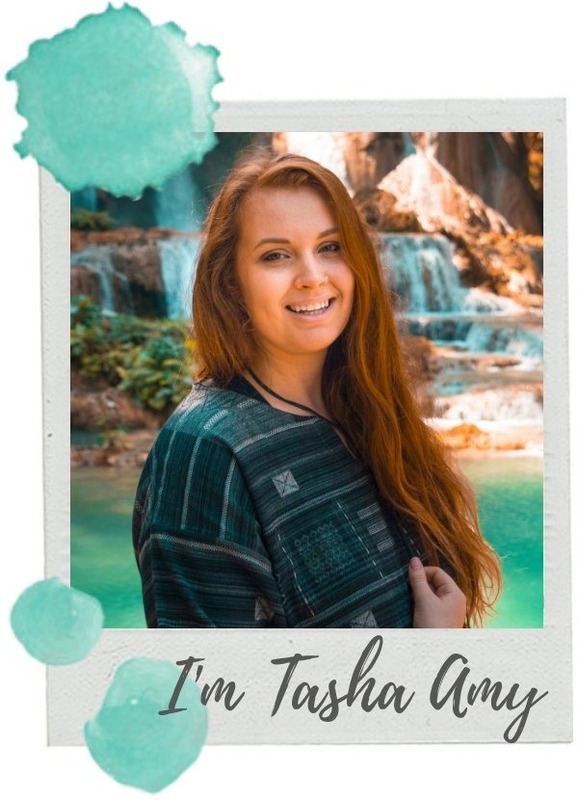 The amount of people dying was unacceptable, especially when it was a result of negligent behavior, dodgy activities and drug and alcohol fueled river parties. 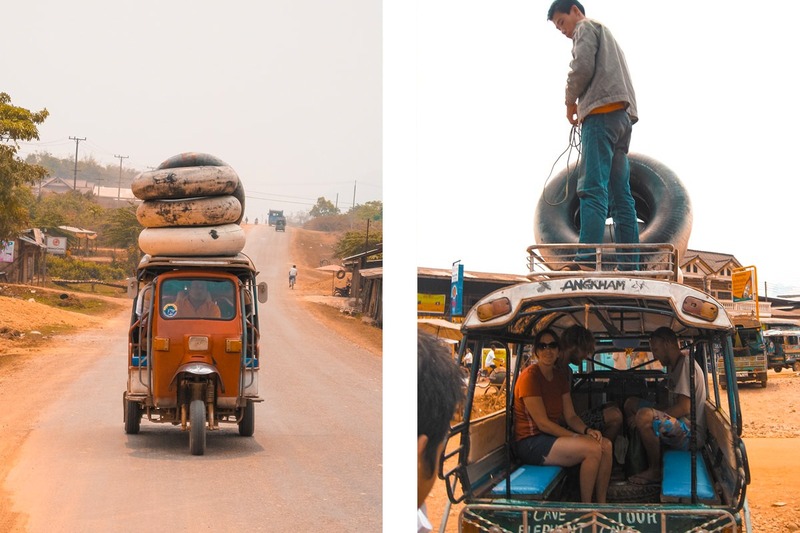 The Laotian Government banned tubing while it was given a safety transformation, ensuring the lives of future backpackers. 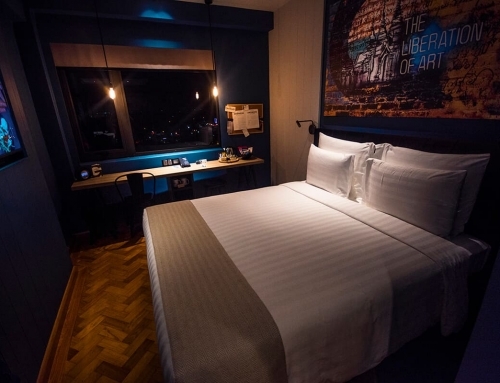 These days the Nam Song River is no longer a hot spot of drunken debauchery. The crazy swings which lined the river have been dismantled. The ‘death slide’ has been laid to rest and the zip lines along the river you need to book with the authorized tour company to use. There are still bars, though only a few are allowed to be opened at the same time. Ultimately preventing people from bar hopping all day and getting obliterated. 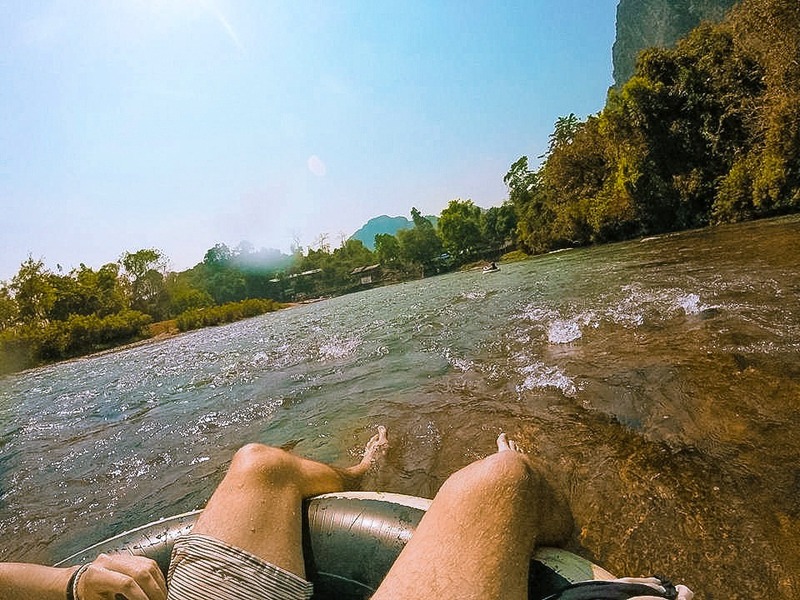 Tubing may have put Vang Vieng on the South East Asia tourist trail, but it no longer the reason why it remains on there. The government re-branding of Vang Vieng has resulted in it becoming adventure travelers paradise. With numerous hikes to amazing look outs, the famous Vang Vieng Challenge and the beautiful lagoons which dot the area. Nonetheless, Vang Vieng is still a backpackers town. You will find a party every night. Though, it has moved from the river to the numerous bars in town. There is still a heavy drug scene with restaurants and bars openly selling ‘magic’ foods and drinks. Forewarning, take them out of the establishments at your own risk. The police are cracking down hard and if caught you will be given the option of jail or a ridiculous fine. 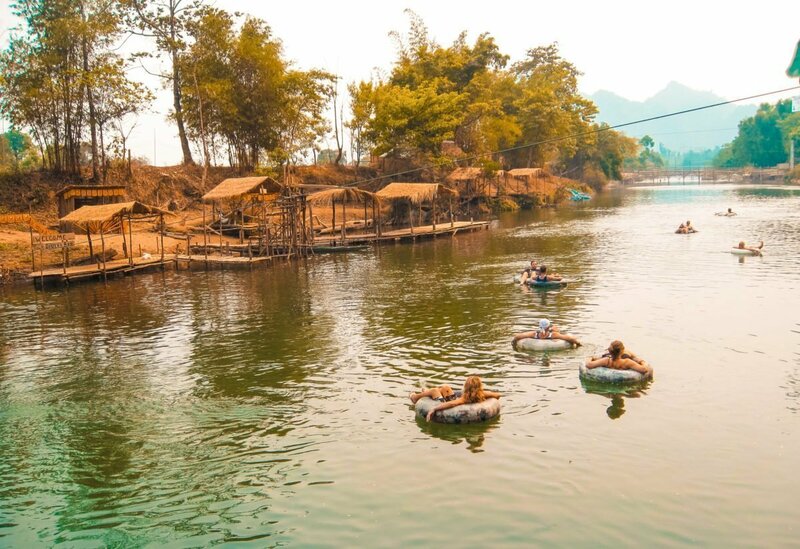 Of course you can still go tubing in Vang Vieng, though just don’t expect a crazy party or big crowds. 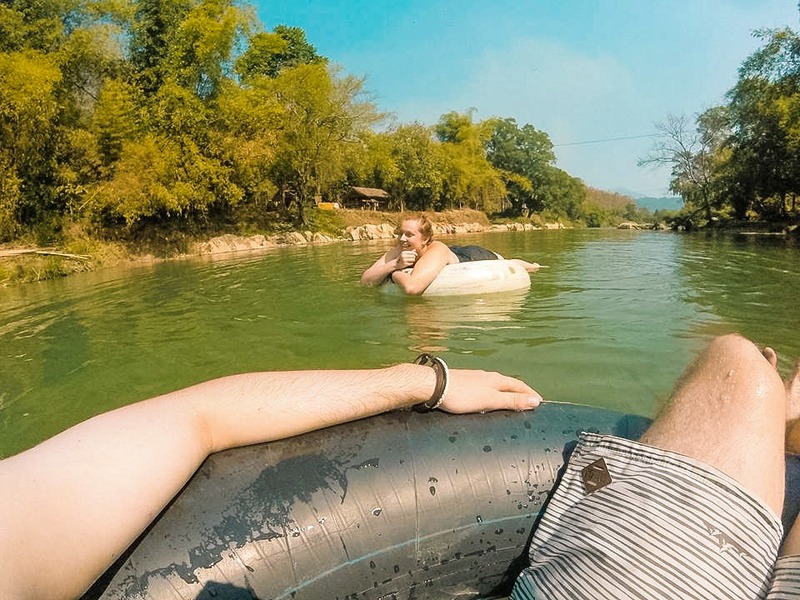 I must say as well, do not travel to Vang Vieng solely for tubing as you will be crazy underwhelmed. Vang Vieng is an amazing place so visit for the beautiful landscape, the amazing lagoons and the awesome restaurants which play the TV show friends 24/7. 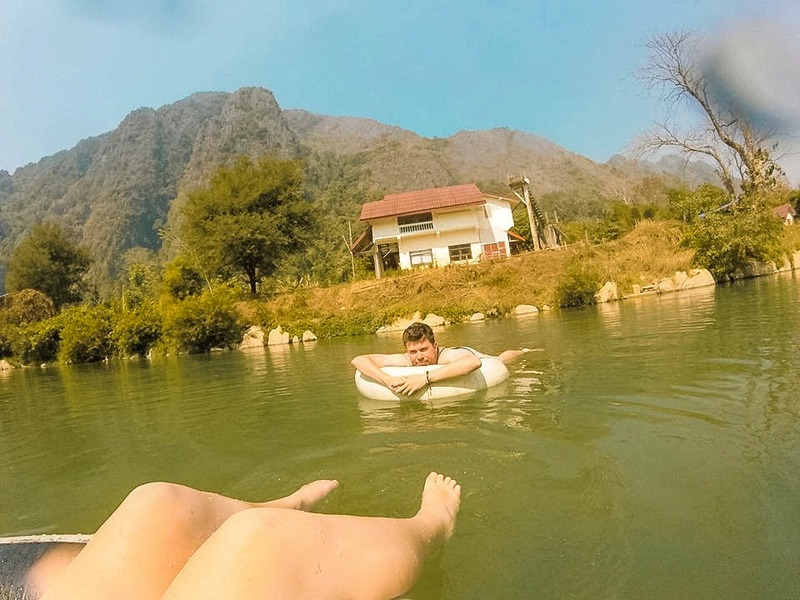 Though, if you do managed to find yourself in Vang Vieng, do give tubing a go, just set your expectations accordingly. It is an awesome way to see the countryside, watch the locals fish and be amazed by the massive limestone karsts which rise up above you. You can hire tubes from the tubing center in the middle of town. Basically everyone in town knows where this is and will point you in the right direction. Just look out for a large shed with a tuk tuk out front and hundreds and tubes stacked up. The price for the tube is 55,000 Kip ($6.60) and there is also a 60,000 Kip ($7.20) bond. Though, it is refundable as long as you return the tube before 6pm. 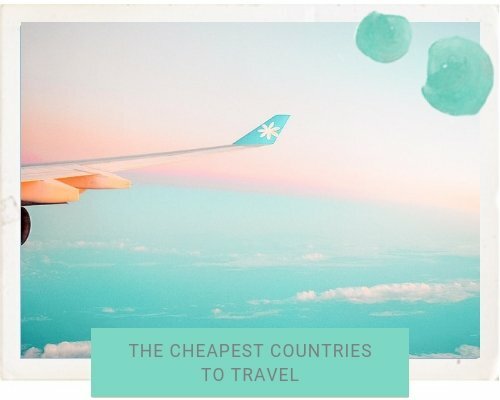 This price also includes your tuk tuk ride to the beginning of the river. Though, if you want it to leave before it is full you will need to pay an extra 20,000 Kip ($2.40). There is also a spot at the tubing center to leave your shoes, just pray nobody steals them. If you need dry bags plenty of places in Vang Vieng sell them. Just make sure to test it in a sink before you venture out onto the river. Waterproof phone cases are also widely available, as well as anything else you can imagine to do with tubing. 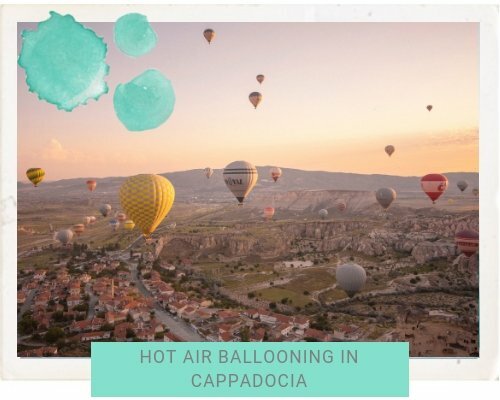 This is a town who’s tourism was built around catering for tubing backpackers. While in Vang Vieng we stayed at Pan’s Place. It was $7.10 per night for both of us in a private bungalow and shared bathroom. It was basic with only two single mattresses on the floor and a necessary fan. We loved the bamboo bungalow as it was the first one both of us ever stayed in! Plus, it was always clean, reception was helpful and we had no unwanted visitors throughout the night which is always a bonus. James and I decided to begin our tubing in Vang Vieng experience quite early in the day at 10am. Probably a little too early as the town was dead and the rest of the backpacker crowds were still sleeping off their hangovers. Though, anyway we wondered off down the empty streets towards the tubing center where a local man was waiting, and by his reaction he was not use to visitors this time in the morning. We paid our fees and bond, received the tubes and got the numbers one and two written on our hands. This confirmed what we thought, we were definitely the first visitors of the day. That didn’t worry us though as we were not doing the tubing for the whole drunken, bar hoping, party experience. Rather, we thought it would be a relaxing way to start the day before exploring the lagoons in Vang Vieng. Jumping in the tukt tuk we decided to pay the $1.20 each extra for it to leave early. We knew nobody else would be joining anytime soon so we decided just to cut our losses and deal with it. Driving down the road we head further out to the countryside, leaving the awakening town behind us. A dust cloud follows along and soon we turn down a dirt road. Running water can be heard and when our tuk tuk stops we know we have arrived. We make our way down across the riverside, trying to stay balanced on the rocks which line the shores. The water is shallow, it’s the dry season so that’s expected, though the current is still strong. Placing my tube in the water I awkwardly jump on, with my feet out front and bum dragging on the rocky riverbed. Heading out into deeper waters we both enjoy the peacefulness and serenity of floating down the Nam Song River. The murky water below hides how deep it is, and I have a phobia of touching the bottom. No matter if I am in a river, ocean or pool, I just hate touching the bottom! Chuck me in the middle of the ocean anyway and I will be happy, yes I am a strong swimmer. Locals are burning rubbish from their houses by the river which sends a shower of ashes down on us. Just black and grey bits falling from the sky, its kind of magical when you are there, but looking back, its kind of gross. A group of Asian kayakers paddle past us and are amused by the tubes. Probably wandering what the hell we are doing out here so early in the morning. Surprisingly there are people working at the bars along the riverside. They try to entice us in with free shots and by throwing a rope out. Its still morning and we certainly are not keen so we just float on by. The majority of bars seem to be in very close proximity and with each one we pass the same words are shouted at us ‘free shots?’. The answer is same is usual as we try to avoid eye contact. I am not going to lie, the bars actually look pretty cool and there are some awesome restaurants set up on the riverside as well. We float underneath bamboo bridges as motorcycles drive ontop and jump out for a swim every now and then. A group of zip liners fly above us, life along the riverside certainly is busy. Remember how I said this was during the dry season so the water was low. Well it was so low and the current was so weak it took us five freakin hours. FIVE HOURS! Everywhere online said in the dry season expect three hours, not including stops. Well it took five hours from start to finish without getting out at any of the bars, just peacefully floating. Though, at the end we did get over it and started paddling downriver. It was obvious when we were getting into town that the finish point would be coming up soon, but to our surprise we didn’t see any signs. A shallow part pops up so we decide its the perfect spot to get out. To our surprise it came out across the street from the tubing center. We were greeted by some happy locals who easily refunded our bond, as well as pouring us homemade whiskey shots. All in all tubing in Laos was a great experience and is an awesome opportunity to get out of the main city center to enjoy a slower pace. Tubing in Vang Vieng was one of my highlights in Laos, even though it did drag on a little, I would highly recommend it to anyone visiting. Just set your expectations accordingly. Photo credit: “Tubing down the Nam Song” (CC BY 2.0) by ChrisFeser . “Tubing” (CC BY 2.0) by GaryCycles . 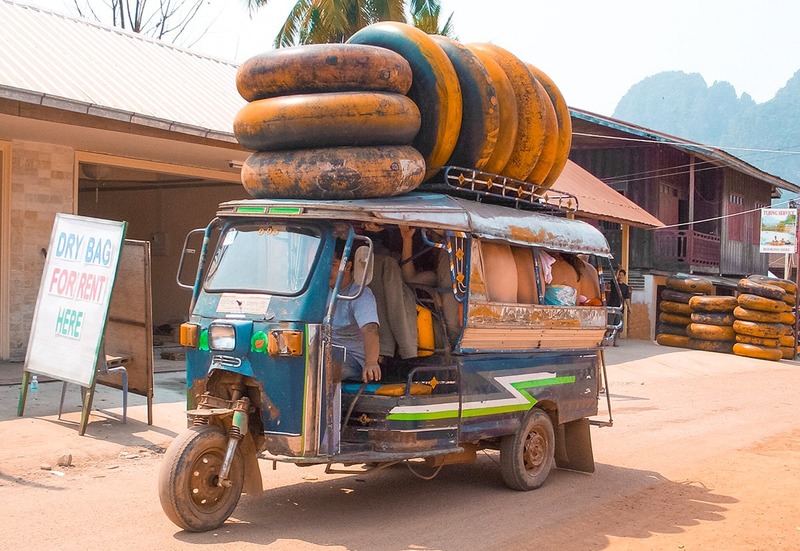 “Tubing tuk-tuk” (CC BY 2.0) by ChrisFeser . “Trying out the giant swing” (CC BY 2.0) by ChristianHaugen . “Floating down the Nam Song” (CC BY 2.0) by ChrisFeser. “Trying out the giant swing” (CC BY 2.0) by ChristianHaugen . Wow, looking at your photos and reading the descriptions of your tubing experience in Laos makes it exciting to get there. I like the fact that you can actually rent a tub from a tub rider company so it will no longer be costing you money and paying so much for buying one. My family and I would always want to go tubing and we want to try it out in the nearby river before heading offshore. In planning this, I will be looking for a company that offers tubing! Not only was this super interesting I definitely would do this! Thanks for sharing!